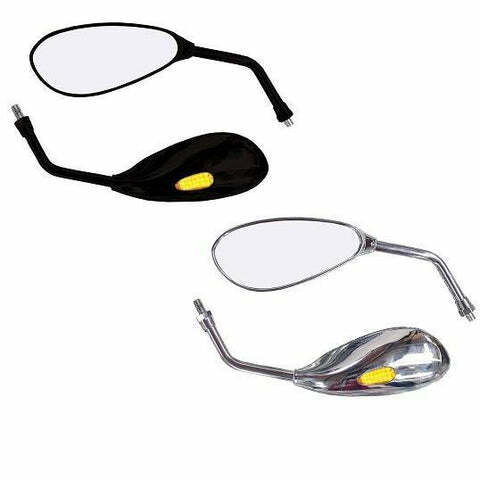 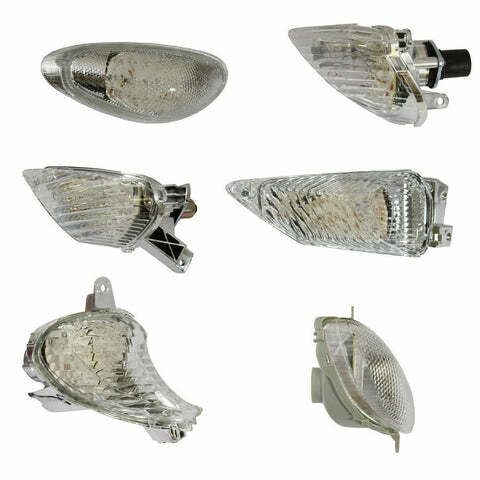 The Bikeit Trojan Series LED mirrors, feature a large displacements mirror face for extra sight on the road, along with integrated LED lit indicators for added safety. 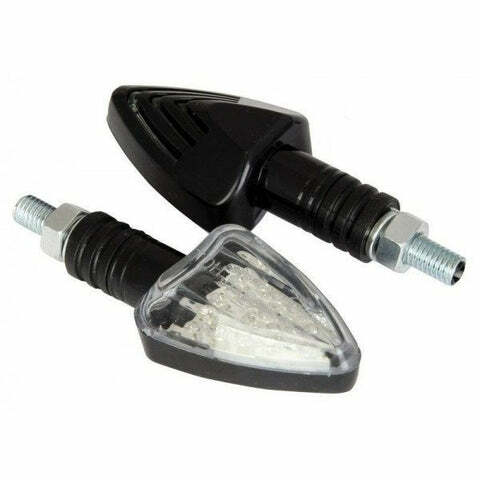 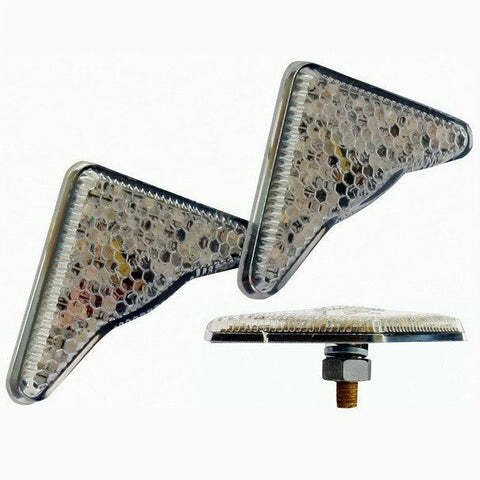 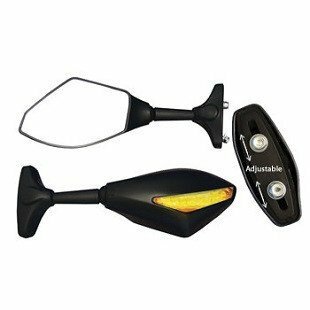 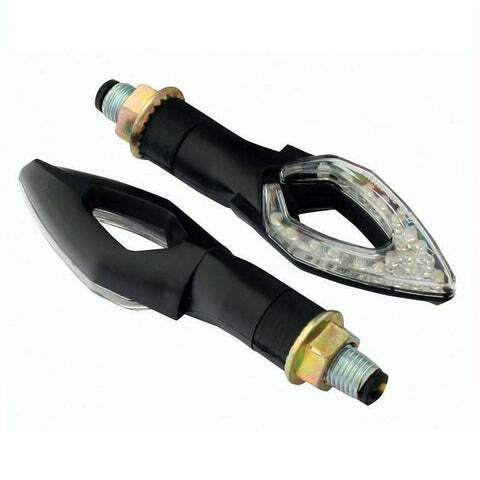 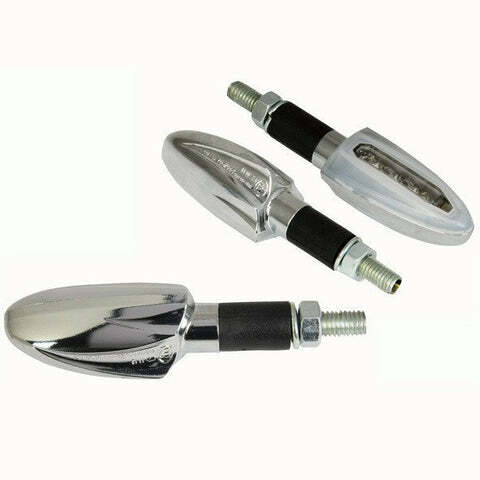 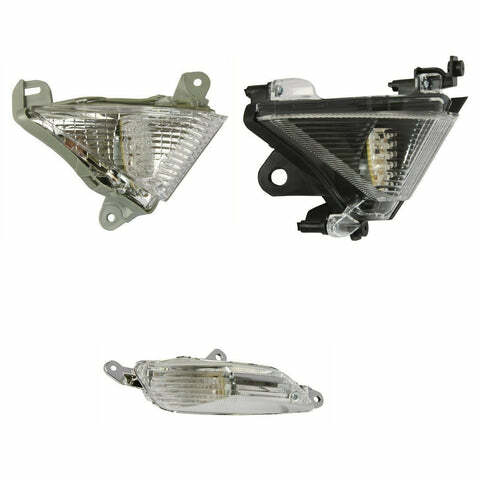 A great replacement part for OEM mirrors, thanks to their practical design shape and indicator feature, making sure your turning direction is visible to drivers by putting them in eye level view. 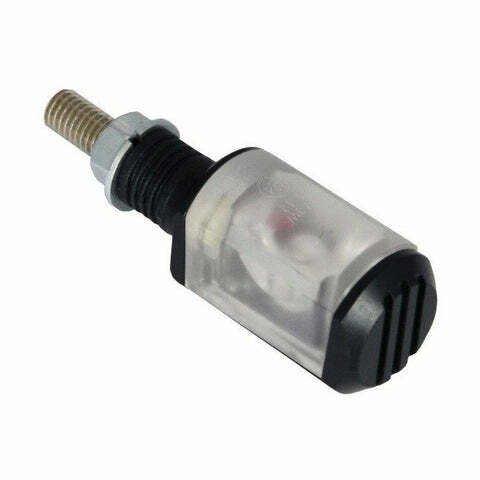 Simply wire into your existing indicator wiring loom, screw in the mirror and ride off! 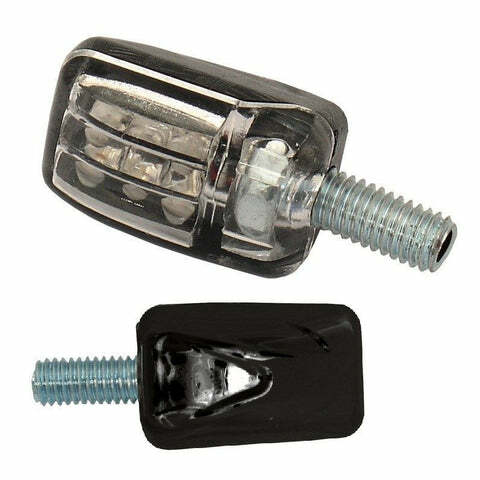 Suitable for bar-mounted mirror set-ups with 10mm bolt thread. 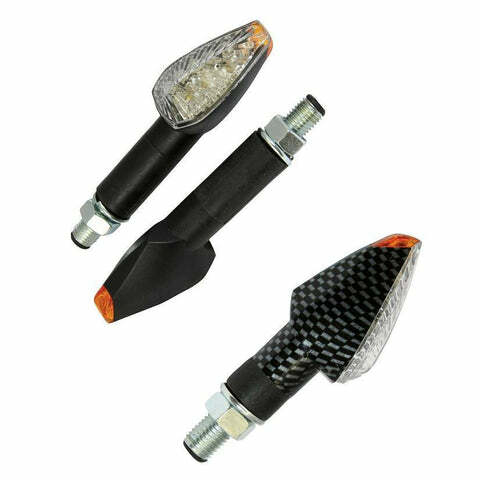 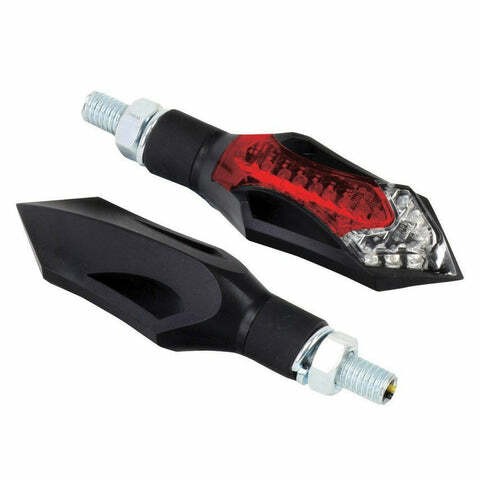 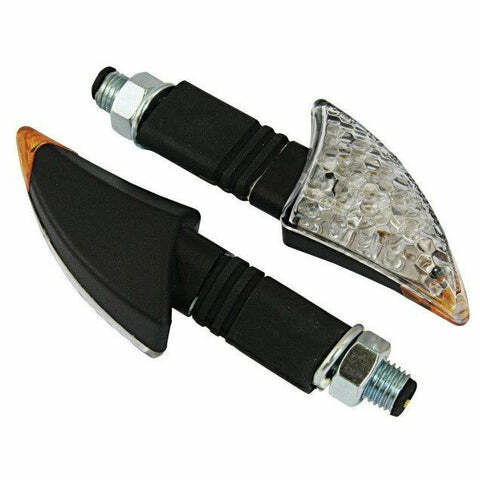 Flat-backed chevron shaped flush indicator, with super bright amber LEDs with clear lenses. 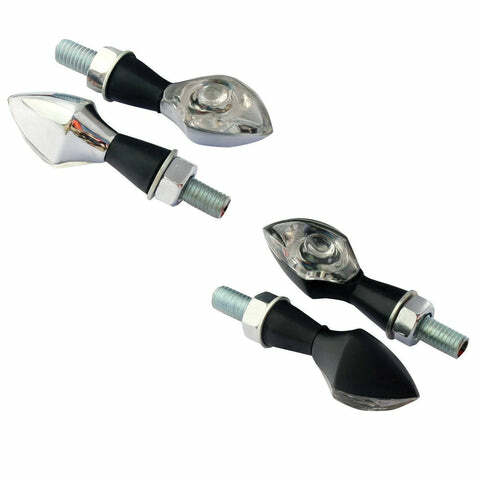 6mm bolt fitment allows easy installation to fairings and number plate hangers. 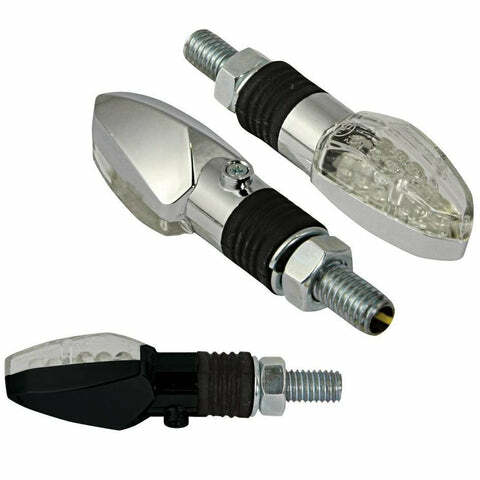 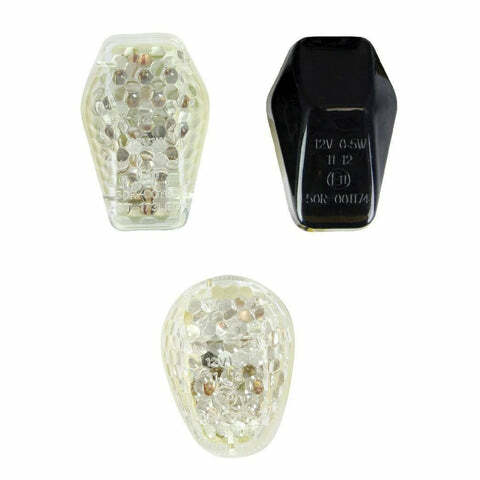 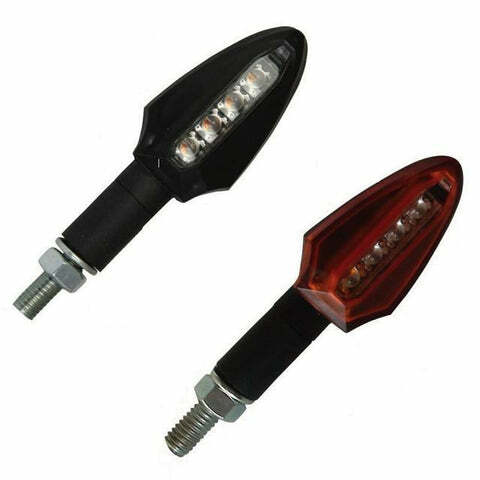 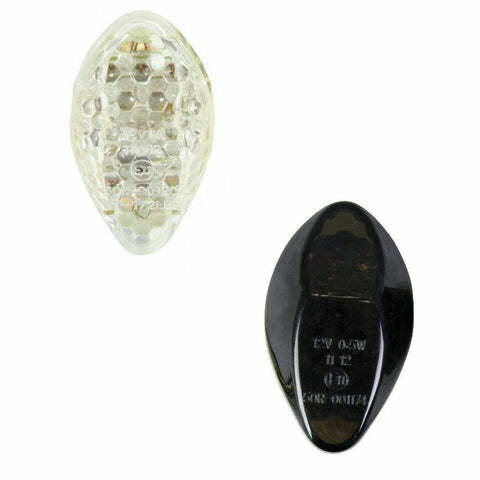 Compact Diamond shaped body with super-bright amber LEDs, available with either a short or long stem. 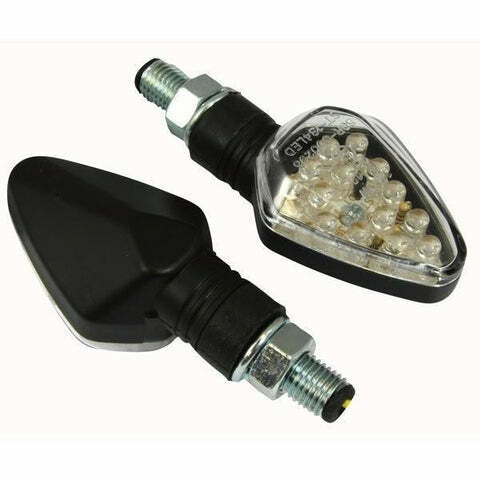 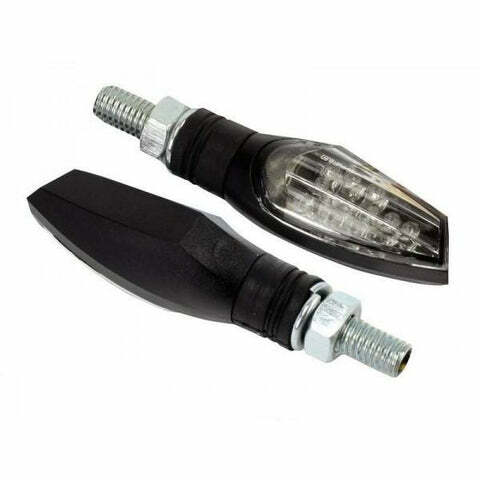 Compact LED indicator with safety end cut-out for increased visibility from the side on! 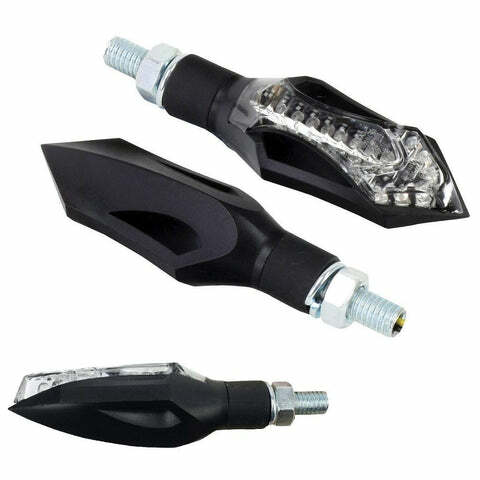 Available in short or long stem, plus black or carbon body. 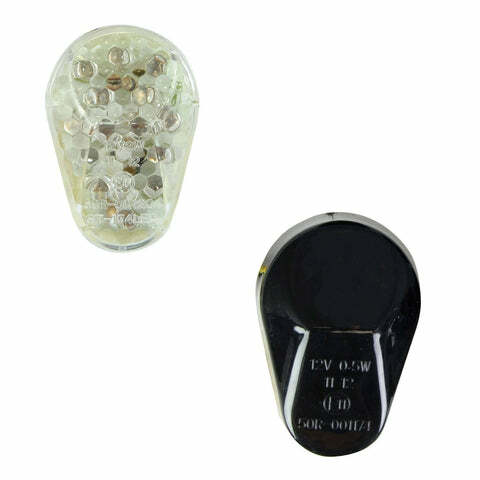 These new design indicators feature a single 'runner' layout with 4 ultra-bright amber LEDs. 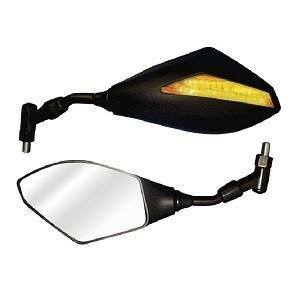 Featuring a unique translucent lens surround to capture the emitted light for increased visibility on the road. 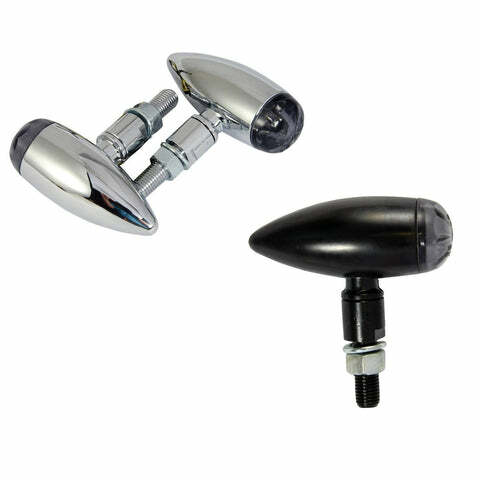 Encased in a strong, durable chrome body.